Question: My farrier generally shoes my horses with the outside back of the shoe much wider than their actual feet. I am concerned that they may be able to stand on their shoes and pull them off. Should I ask him to fit the shoes more neatly to the hooves, or is there a reason for him to do this? Answer: Shelly, it would be my suspicion that your farrier has fitted the shoes this way for a very good reason. Allowing the heel of the shoe to extend rearwards from the heel of the hoof can in many cases provide an element of support to the foot and associated structures. It can in theory also allow for the natural growth of the hoof wall and help to avoid the hoof growing over the shoe during the period between farrier appointments. Of course, it is important that this style of shoeing is achievable without significantly increasing the risk of the horse standing on the heel of the shoe and ripping it off. 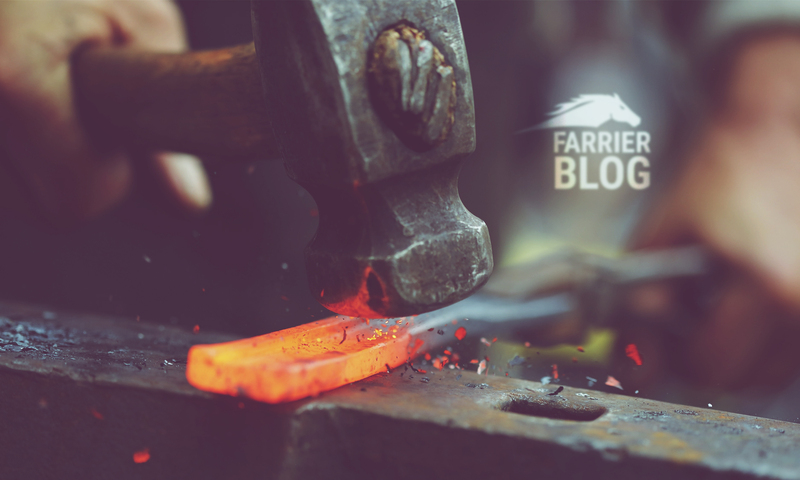 An experienced and knowledgeable farrier will strike a balance between fitting the shoes to support the hoof and ensuring the shoes will stay on for the duration of the shoeing period. If you haven’t had an issue with hoof problems and shoe loss then it may be that your farrier has things just right! If this is the case then why ask him to change it? Asking your farrier to fit the shoes tightly to the hoof may not necessarily be of benefit to the horse or the foot. I recommend you talk to the farrier and discuss the pros and cons of these different shoeing styles.